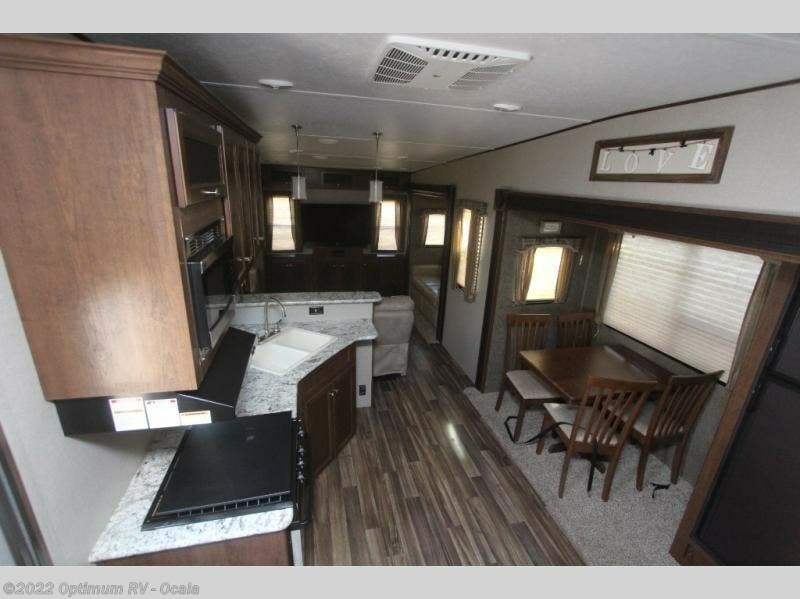 You are going to enjoy the spaciousness of this Keystone Hideout fifth wheel model 315RDTS. 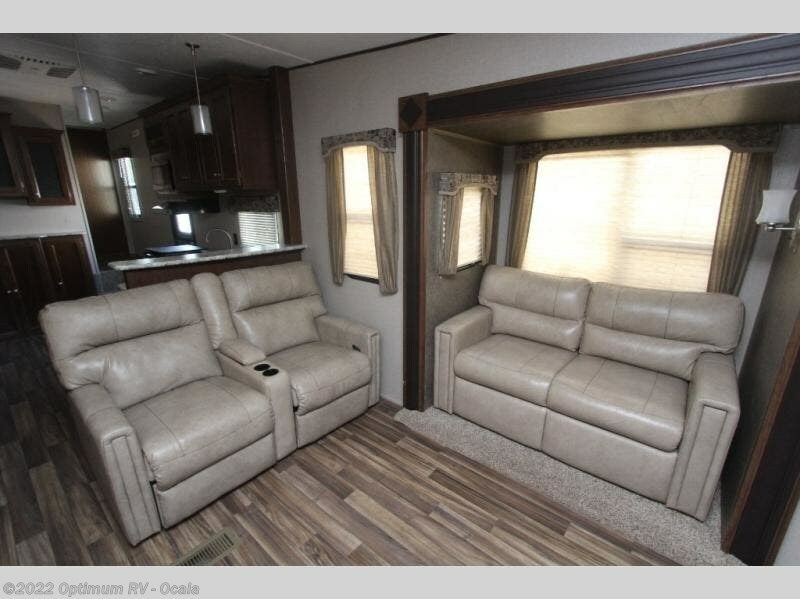 With triple slide outs there is room for your whole family. 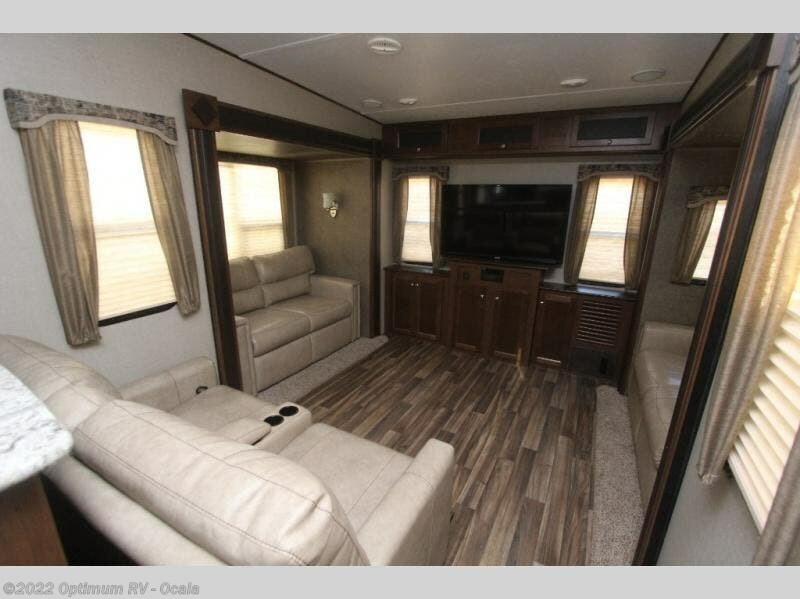 Along the rear there is an entertainment center plus you will find plenty of seating at the two tri-fold sleeper sofas and the theater seats so now you can bring your party inside once it gets dark. 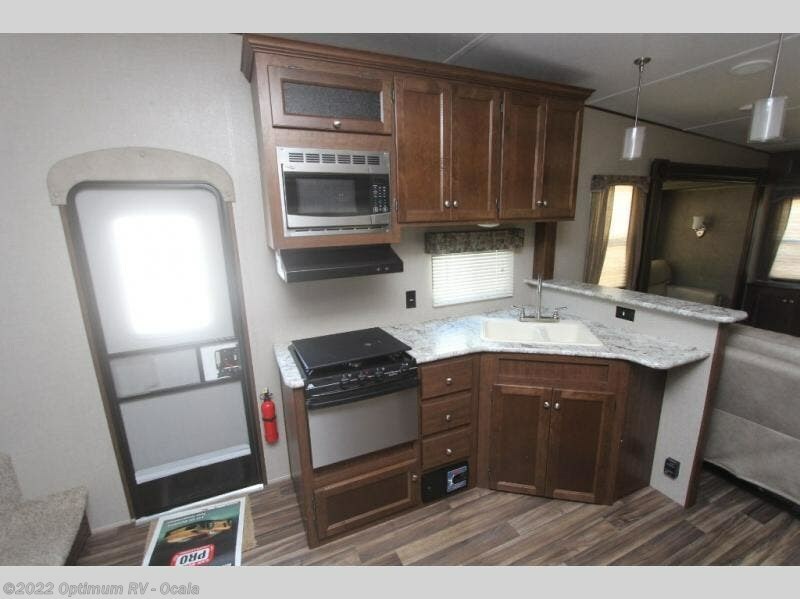 The spacious kitchen has plenty of room where you can work to create the meals that you enjoy most. 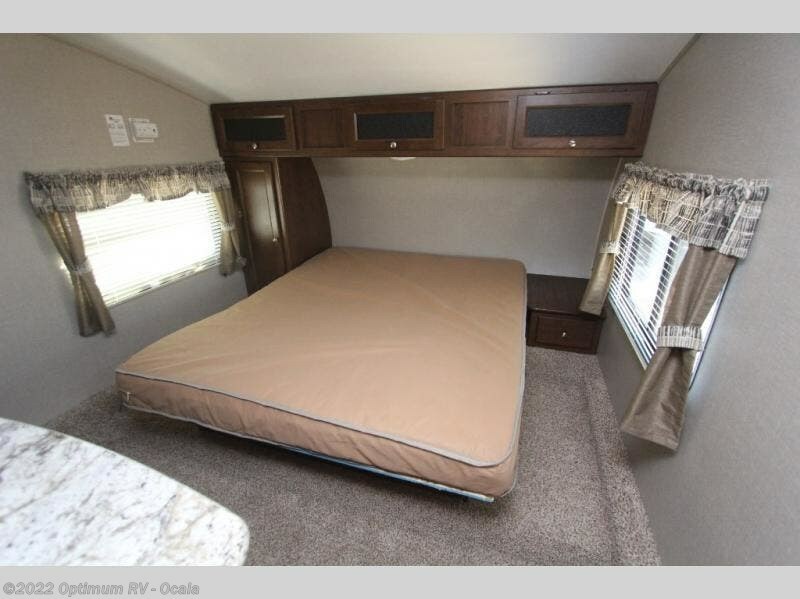 At night head up to the private front bedroom where you can get a good night's rest on the queen bed. 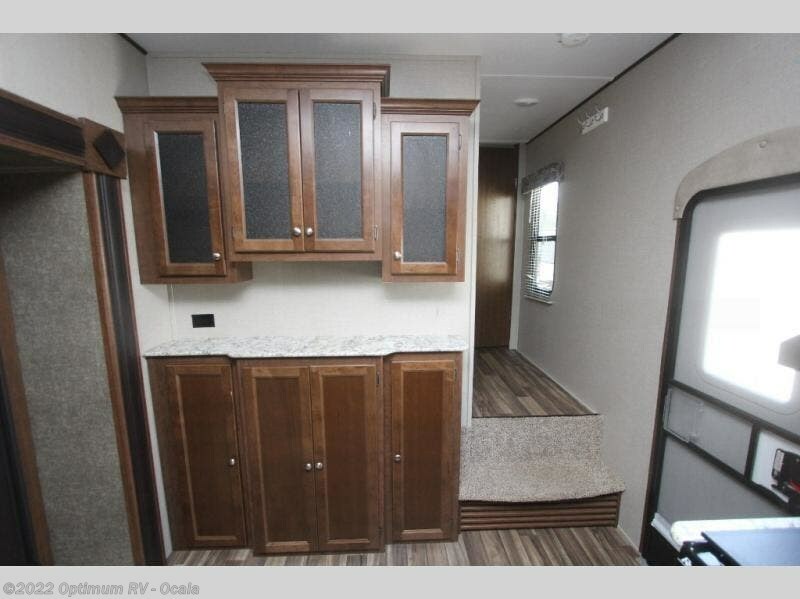 You won't be lacking for storage throughout this model. 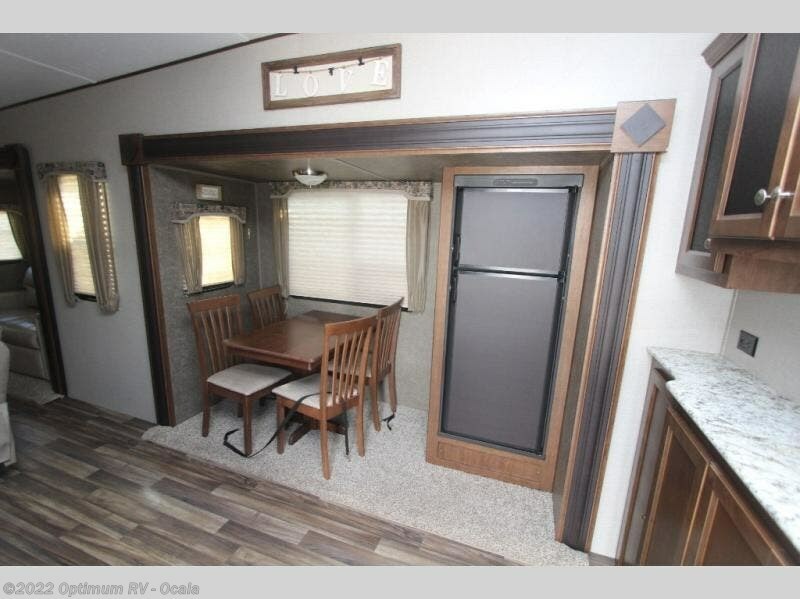 So go ahead and plan your next camping trip with this Hideout 315RDTS! 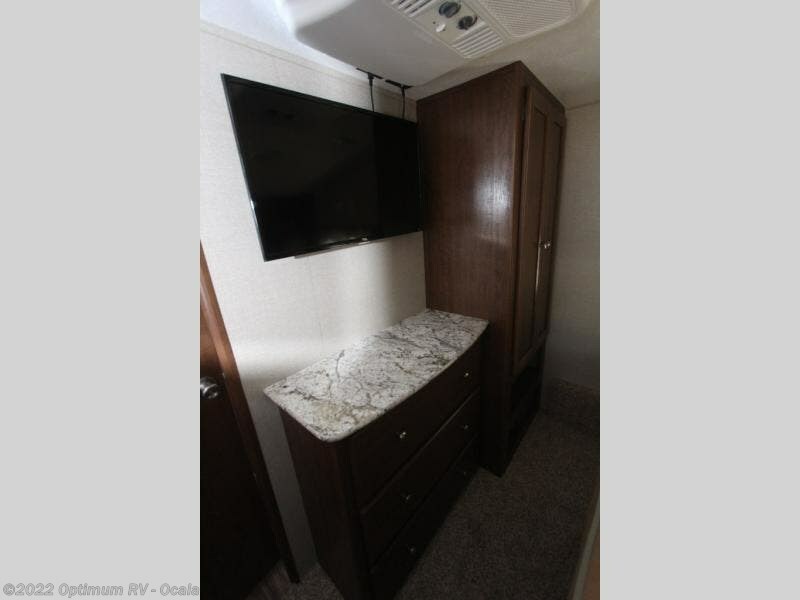 For any trip whether near or far you will want a Hideout fifth wheel by Keystone RV. 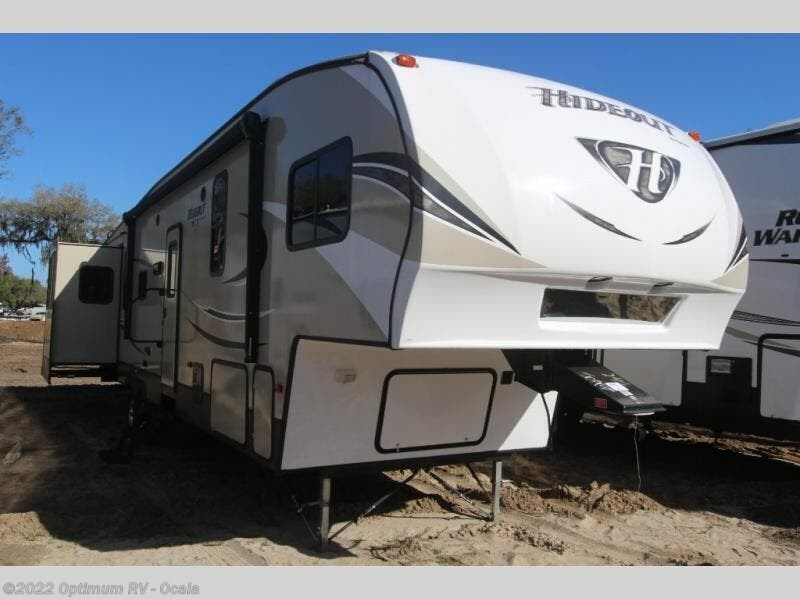 These models are lightweight which makes them easy to hook-up and tow. 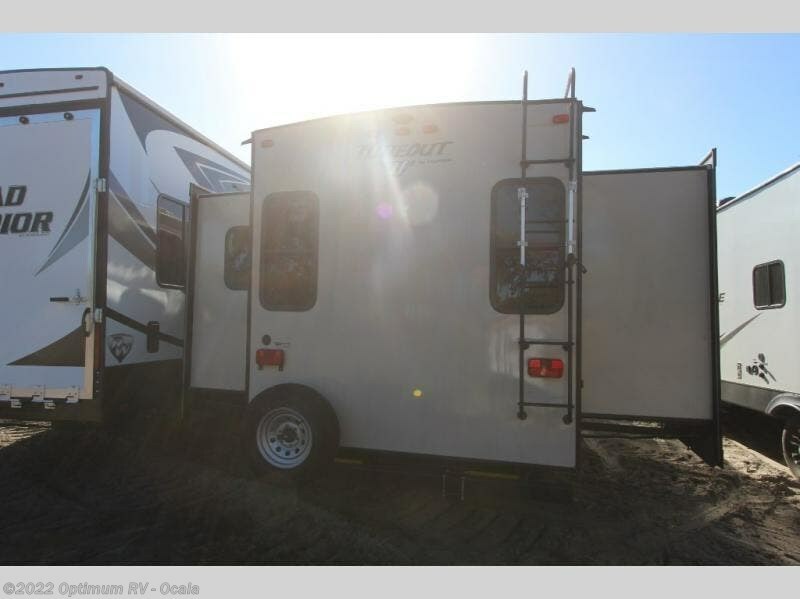 Just load up your belongings and head out for a weekend away in your own Hideout retreat. 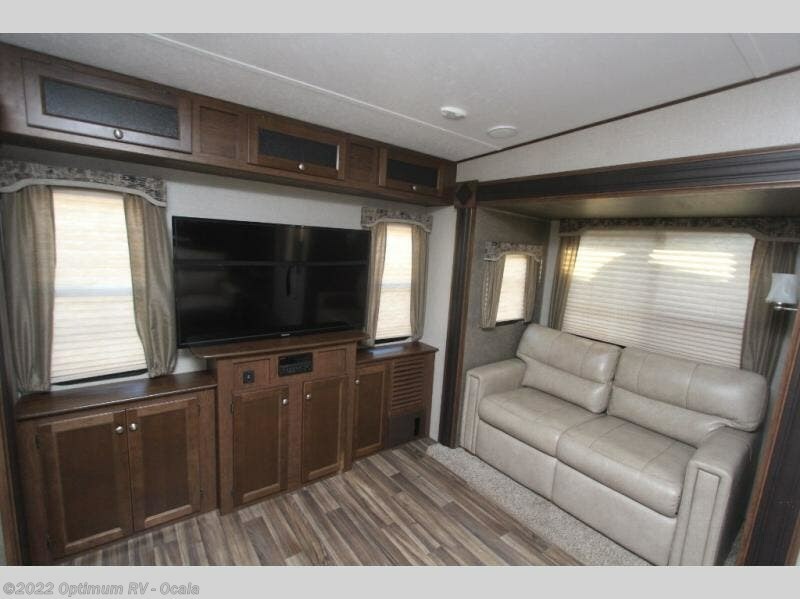 A few key features inside each model include pleated shades in the living area, a high-rise kitchen faucet, plus full strutted storage under the master bed. 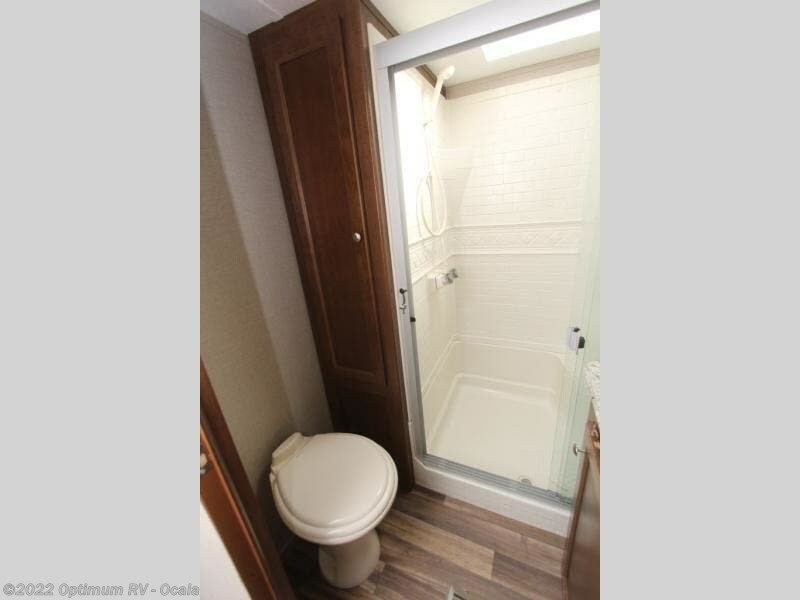 The exterior has a gel coated Maxturn fiberglass front cap, black radius window frames, hurricane straps reinforced structure, and an exterior shower. What are you waiting for? 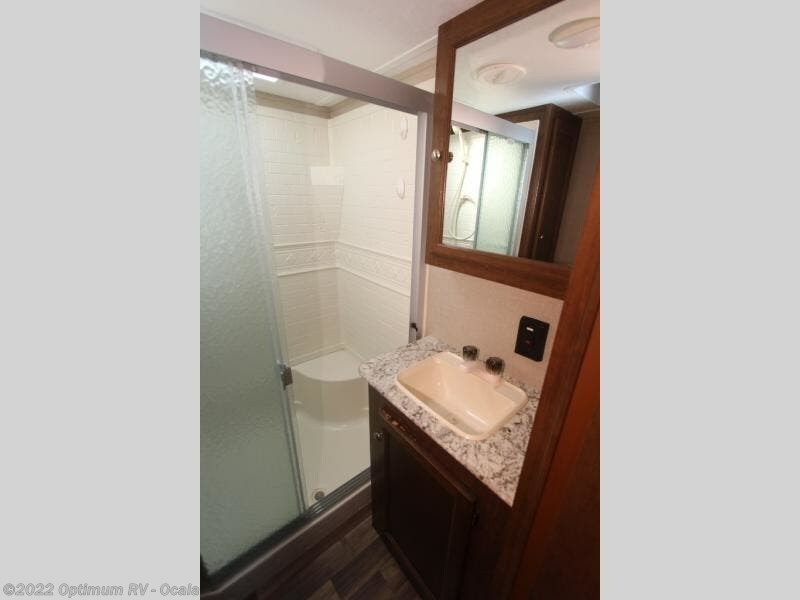 Come enjoy your own private hideout with a Keystone Hideout travel trailer! 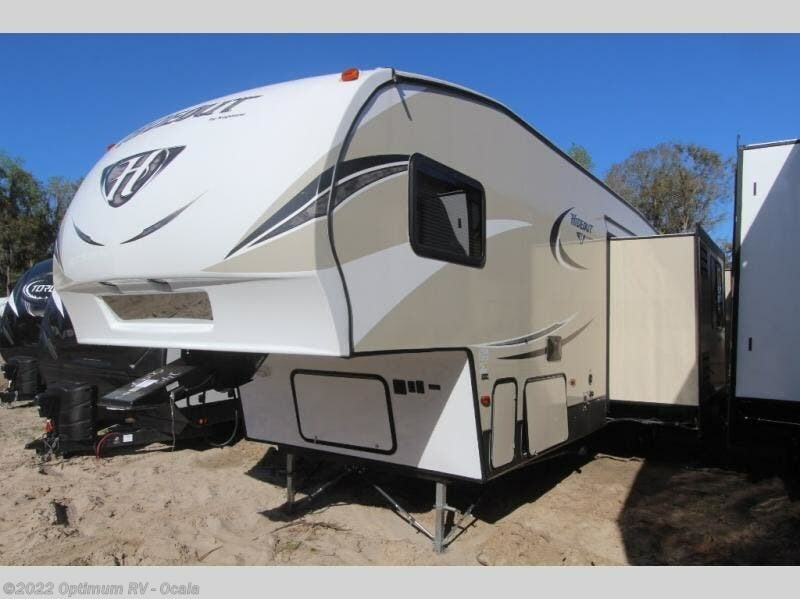 Check out Stock # 1CV072A - 2018 Keystone Hideout 315RDTS on keystonervsource.com!